Wah! Today is my fave's birthday. If you want an example of how you can make change as a human being (even though he's suggested that he'd never change) take a minute to learn up on Shawn Carter. As a fan I always believed that this guy was a family guy, and someone who really did want to live in a better society than that which birthed and raised him. I didn't always believe I'd see him wifed up and always having his kid in toe- but thats exactly the guy he's become. Jay through his music and philanthropy has become a change agent for the better. Of course he still holds on to what he's always rapped about- his own life experiences and culture, but he also peeks his head out every once in a while for the important stuff. On his 45th birthday, I'm just glad to see this brilliant man in progression. The more I learn about his life coming up the more I realize, he's not meant by any means to be where he is today. So.. happy 45th birthday to the GOAT! Yes.. I said it! lol .. 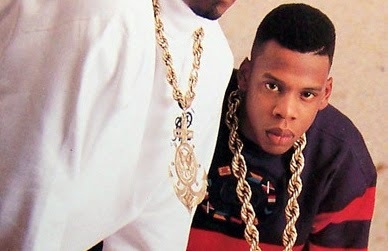 Happy Birthday Hov!